A few of our friends have kids moving up to middle school in the fall and they are starting to think about giving them more responsibility and leaving them home alone. As these kids begin the process of staying on their own there are tools they need to make sure they are prepared. Even though Jack is years away from staying on his own we want to prepare him for the responsibility now, that way he will feel comfortable when he gets there. One of his Cub Scout requirements this year was to prepare a phone list and put it by all the phones in the house. They also talked about what to do in an emergency, how to get out of the house and find help. This is a great step in helping him be prepared. Here are some things to teach your child as you prepare them for staying at home by themselves. Have a list of phone numbers right next to the phone, like cell phone numbers and neighbors. 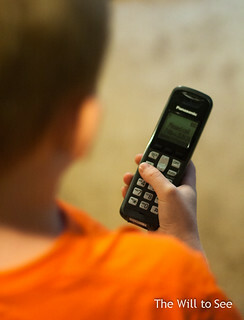 Make sure your child knows how to use the phone (dial it, not just answer it). Practice reciting your house phone number and address, in case they need to give it to someone over the phone to get help. This also requires a discussion about when it is appropriate to do so and who to trust. Have them memorize your cell phone number in case they become separated from you away from home. Create an emergency plan of where to go in case of a fire or other alarm in the house. Have a meeting place at a neighbor’s house and inform that neighbor. Make sure they can open and lock all house doors. Talk about when they should answer the door and what information they should or should not give out. If you have an alarm system make sure they can operate it, both arming and disarming the system. Not only are these tips are good tips to teach children to be on their own, but also in case something happens and you are not able to call for help. This way the child understands what to do and can be prepared for difficult situations. Be sure to take time now so you are prepared and the child is comfortable when that time comes. This was also published on my Girl Power Hour blog, Mommy See.